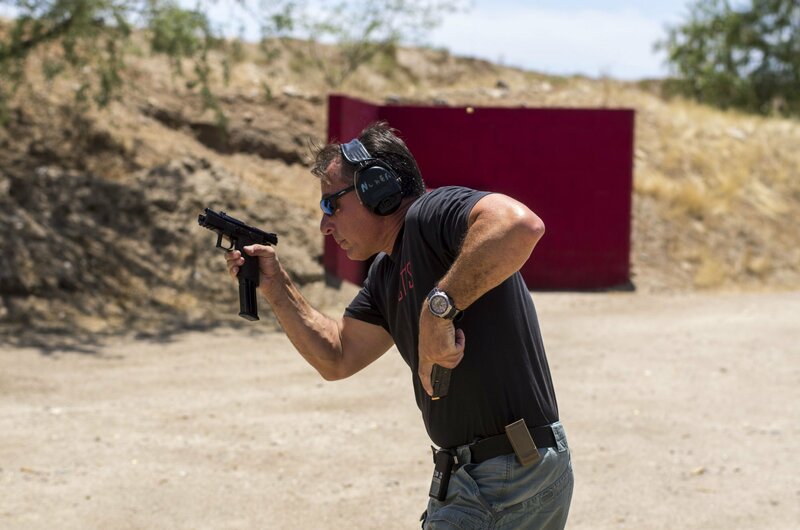 CZ P-07 Duty Polymer-Framed Combat/Tactical Pistol: The Best Pistol Nobody Knows About (Range Review/Shooting Test) | DefenseReview.com (DR): An online tactical technology and military defense technology magazine with particular focus on the latest and greatest tactical firearms news (tactical gun news), tactical gear news and tactical shooting news. All photos contained in this article were shot by CCT Solutions/Mike Pannone, and are copyrighted. The following article is property of Mike Pannone and DefenseReview.com (DR) and is copyrighted material. If you are reading this article on another website other than DefenseReview.com, please email us the website address/URL (where the unauthorized DR article reprint is located) at defrev (at) gmail (dot) com. Thank you. -"It sounds like you’re having a good day. What are you shooting?" -"Never heard of it? How does it run?" -"It’s the best pistol nobody knows about." 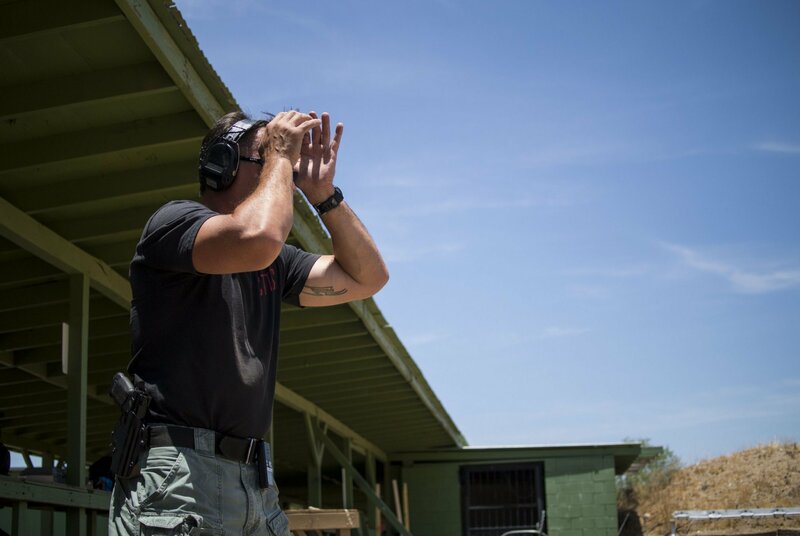 My first experience with CZ pistols was in the Special Forces Qualification Course as an 18B – Special Forces Weapons Sergeant. In our light weapons portion, we had various Eastern Bloc pistols, the CZ 75 being one of them. I saw them again only a year later in Thailand while conducting training with the Royal Thai Special Forces. They had some extremely worn CZ 75’s but every one of them ran great. I was impressed with their durability and accuracy considering the shape they were in. Since fielding in 1975, over 1 million CZ 75’s have been made, and it is the most common pistol in use worldwide by military and law enforcement organizations. Fast forward 15 years to when I shot an SP01 at my local range in Tucson, AZ for the first time. I was instantly hooked, and within a week went to the CZ Custom Shop in Mesa to have them build me up one. 20,000 rounds on that gun alone and 5 years later, and I bought a 9mm P-07, my 7th CZ pistol. But this one is different. 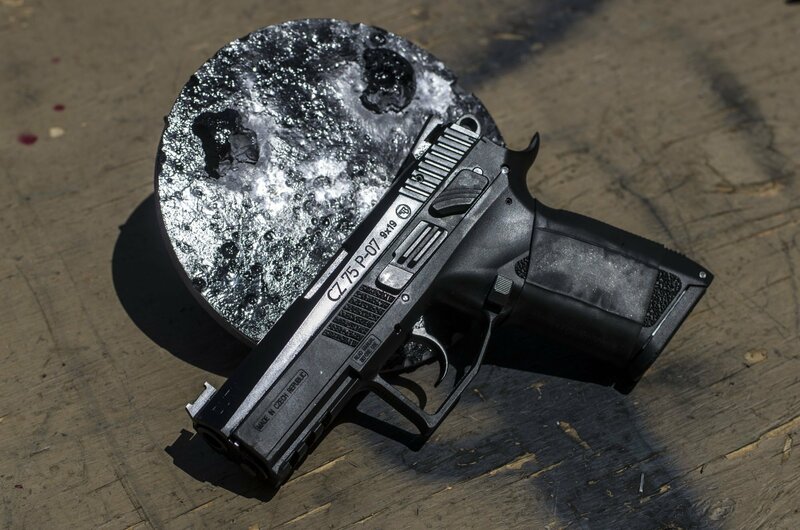 The P-07 Duty is a relatively new (2009) polymer-framed pistol from the renown Czech weapons company Česká Zbrojovka Uherský Brod, and marketed in the US by CZ-USA. It's extremely well priced for a high quality pistol from a big name company ($496.00 MSRP). The P07 Duty I have has proven to be extremely reliable and durable. I have more than 7000 rounds through it and have yet to encounter any pistol-related malfunction. By “pistol-related” I mean a mechanical failure of a properly maintained pistol with quality ammunition and good magazines. Any unmaintained weapon will eventually fail, and magazines are always the most failure-prone part of a quality firearm. Recently, I shot 900 rounds of Wolf 9mm ammo that was given to me. Over three sessions in 3 consecutive days without cleaning or lubricating the pistol (just to see how it would do), there were no issues, even though the guns internals were absolutely filled with un-burnt powder residue. The only stoppages were 2 failures to feed, where the round stopped on the feed ramp due to mud-like fouling. The "tap" of a "tap-rack" drill released the slide each time. As far as durability is concerned, in 7K rounds, all I have done is clean it on average every 500-700 rounds fired and put more ammunition in it. My P-07 pistol came with white-outline sights, which I immediately had replaced with a fiber-optic front and metal combat fixed rear at the CZ Custom Shop. It is also available with tritium night sights for those so inclined. 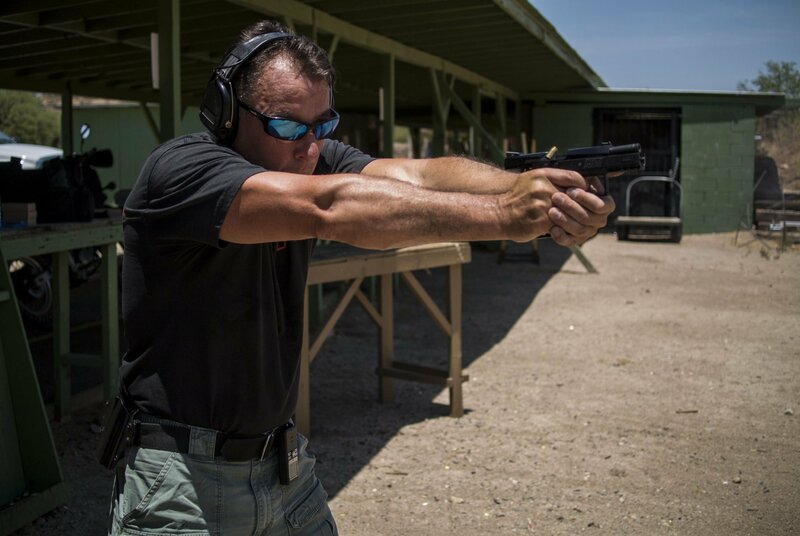 A staple of my pistol training is to start and end each session with a string of 25-yard slow fire on a standard NRA B-8 target. I have been able to post mid-to-high 90’s on this, but I haven’t gotten a 100…yet. I have several 97’s and a 98, with the lowest score being a 92. A former teammate from Special Forces who is also my senior instructor at CTT-Solutions (Kyle Raisbeck) just purchased one with tritium sights and told me he can reliably hit an A-zone steel at 50m with little difficulty right out of the box. Mine has performed likewise. I'm a fan of double action first shot pistols for carry as the longer and heavier first shot is an inherent safety like a revolver and if reasonable in weight is not a detractor at all. I like DA/SA, SA and striker fired pistols equally but for different reasons with different applications. 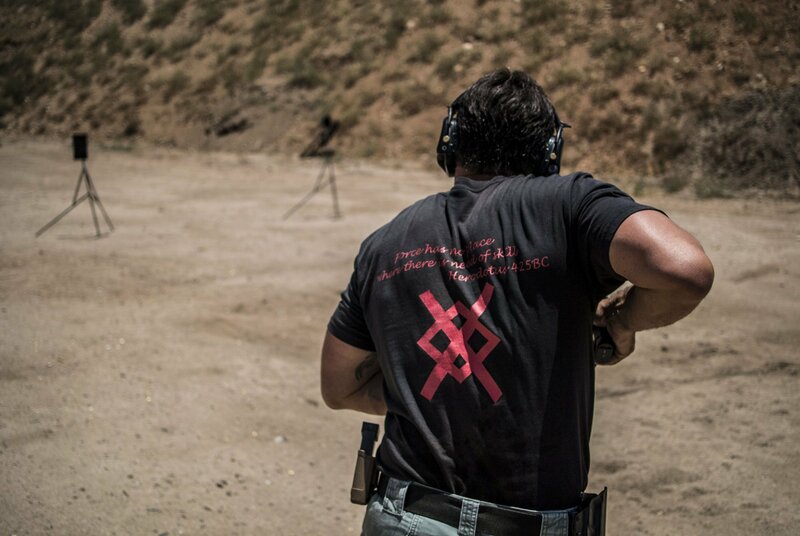 One sage piece of wisdom I learned long ago; the pistol you train properly with the most is the most effective one for you. The fairytale that this or that trigger is “the best” comes from people who would have you believe if you have the “right gun” it makes a big difference or can make up for poor training. Having shot the Beretta M9 extensively in SF (and having heard every complaint about it under the sun)I have long since learned that double action is not obsolete, outdated or undesirable but contrary to common myths and misconceptions it is simply different. Case in point: with a Beretta 92F-pattern gun (actually an Elite II), Ben Stoeger won the 2011 USPSA Production class National Championship. • Double action- 6.75 lbs. • Single action- 3. 28 lbs. Shooting all double action I was able to hit a 6” plate at 25m support hand only 6/10 strong hand only 7/10 and freestyle 10/10 when I took my time. One-shot draws at 10m from surrender position and a Blade-Tech Eclipse holster, I was able to average 1.22 seconds. From surrender, four 5-shot strings on a 6” x 11” A-zone plate @20m, average time was 3.65 seconds with 18 out of 20 hits (90%) and no more than 1 miss in a string. My shot-to-shot slide-lock reload times on an A-zone average for 20 repetitions was 1.63 seconds with 6 shots dropped of 40 (85%). Even if I blow it completely, I can still keep it under 3.00 seconds. The pistol handles well in every regard: accuracy, single shots from the holster for speed and strings of 5 at 20m. • Accuracy – capable of shooting solid 25 yard Bullseye scores stock. The gun far exceeds the accuracy of some big name pistols with a much higher price tag. • Holsters – I am extremely happy with the Blade-tech Eclipse and Kyle has been just as happy with the Raven Concealment Systems Phantom. • Flashlight – I use an X300 with the DG-11 tape switch and it fits well. • Customer service – CZ-USA has been easy to work with, and in my interactions they have been nothing but polite, prompt and professional. 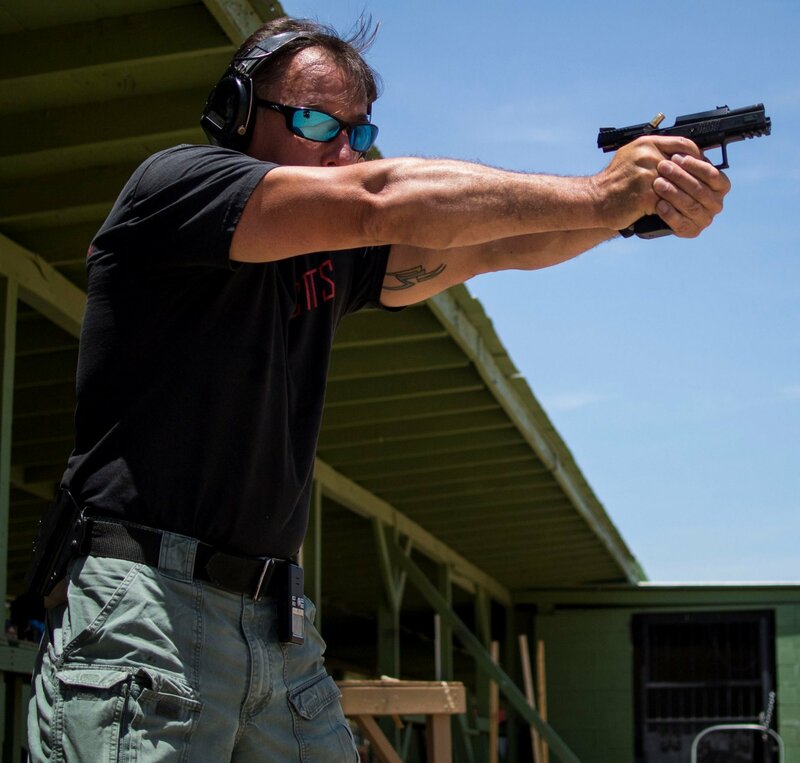 The CZ Custom Shop is staffed with high-level competitive shooters from world champion shooter and icon of USPSA Angus Hobdell to multiple shooters that are USPSA rated Master and Grand Master class competitors. This is a refreshing change, and it makes getting work done or getting a new gun infinitely easier. And, they build guns you'll want to hand down to your kids–after you're gone, though. I am convinced that for a personal protection firearm, the CZ P-07 Duty combat pistol is equal to anything out there and better than most. The reliability, durability, safety, shootability, accuracy, capacity and cost make it a win in every category for a self-defense/concealed carry pistol. The smooth double-action first shot is an inherent safety and is less likely to be inadvertently actuated under stress by a less experienced shooter. For an experienced shooter, it is a pleasant gun to carry and shoot, handles extremely well and is truly bomb-proof durable. At $496 MSRP (and readily available for less than that), it’s a steal. Truly the best gun nobody knows about…that is until now. © Copyright 2013 Mike Pannone and DefenseReview.com (DR). All rights reserved. This material may not be published, broadcast, rewritten or redistributed without receiving permission and providing proper credit and appropriate links. Molon Labe Industries (MLI) SCARmag 25-Round 7.62mm NATO/.308 Win. Super-Polymer Rifle Magazine for FN MK-17 SCAR-H (Heavy) and FN SCAR 17S Gets Shot-Tested/Bullet-Impact Tested: Takes a Bleeding and Keeps on Feeding! Heckler & Koch HK P30 9mm Parabellum/9x19mm NATO, HK45 and HK45 Compact (HK45C)/Mk 24 Mod 0 Combat Assault Pistol (CAP) .45 ACP Semi-Auto Combat/Tactical Pistols with Ambidextrous Controls (Ambi-Controls) for Military Special Operations Assaulters/Operators, Law Enforcement Officers (LEO’s) and Civilian Tactical Shooters: Silencer/Sound Suppressor-Ready! Previous: Happy 4th of July 2013 from DR! Next: Illinois Concealed Carry Weapons (CCW) Law Passes, and Chicago Gun Control Takes BIG Hit: Legal Concealed Tactical Pistol Carry Coming to Chicago?